Although the current estimated population is roughly double that figure, the black rhino is still classified as a critically endangered species. The southern white rhino is the only non-endangered of the five species of rhino and is classified as Near Threatened. 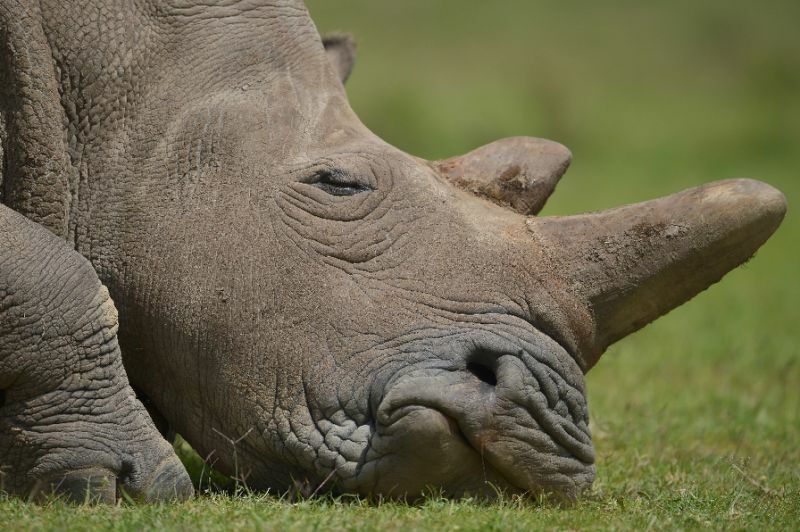 The northern white rhino, however, is doomed to extinction; the last male died of natural causes in March. The two remaining females live in the Ol Pejeta Conservancy in Kenya under 24-hour armed guard. The South African government has failed to provide sanctuary and protection to the critically endangered species. In fact, many corrupt officials and authorities are often paid off to allow the lucrative illegal trade to continue. The rhinos’ most important allies are the rangers who put there lives at stake every night in the savanna, preempting poachers’ strikes. While on the job, patrols are vulnerable to attacks from both poachers and lions who hunt at dusk. According to the International Ranger Federation, at least 269 rangers have died on the job since 2012. The dangers of the job mean South African rangers are in short supply. Albi Modise, a spokesman for the Department of Environmental Affairs, told The Globe Post, “Manpower shortages give poachers an advantage. The cost of hiring additional rangers in national and provincial parks far exceeds available funds and requires lengthy government recruitment procedures.” There are no national programs currently in place to recruit more rangers. A 2014-2018 project funded by the Global Environment Facility (GEF) has improved efficiency among rangers by providing advanced technology to help them catch poachers and process crime scenes. Modise says they are placing sensors in rhino horns that alert patrols if the horn is removed. “Mobile crime units” include floodlights and electric fences to ward off lions so that patrol teams can perform a full necroscopy of the dead rhinos. Samples are then added to a database at the newly opened University of Pretoria Veterinary Genetics Lab. Investigators can later analyze the DNA in seized rhino horns to help map out trade routes and investigate syndicates. Modise also elaborated on the Patrol Optimization Programme, which uses information-gathering algorithms to provide the basis for trend analysis for smarter deployment of ranger teams. In some parts of southern Africa, activists and conservationists are providing ranger units with infrared drones to follow the patrols overhead, allowing them to spot poachers and lions before a full-on battle ensues. Nonetheless, Modise expressed his frustration with the lack of governmental priority in protecting rhinos, saying “the costs for constantly increasing and improving security may prove unsustainable if the trend continues.” Rangers will continue to remain at a disadvantage so long as underfunding and corruption permeates the South African government’s handling of the exponentially growing poaching crisis. Although, there are signs that these recent technological upgrades may actually be working. Officials said in a statement on Friday to the AFP that the number of rhinos killed by poachers in South Africa dropped 26 percent in the first eight months of 2018, despite increased poacher activity. However, officials also reported that the amount of elephants poached for their tusks grew almost 60 percent this year, meaning the pressure on rangers to protect Africa’s wildlife has increased overall.